Easily store in your car. 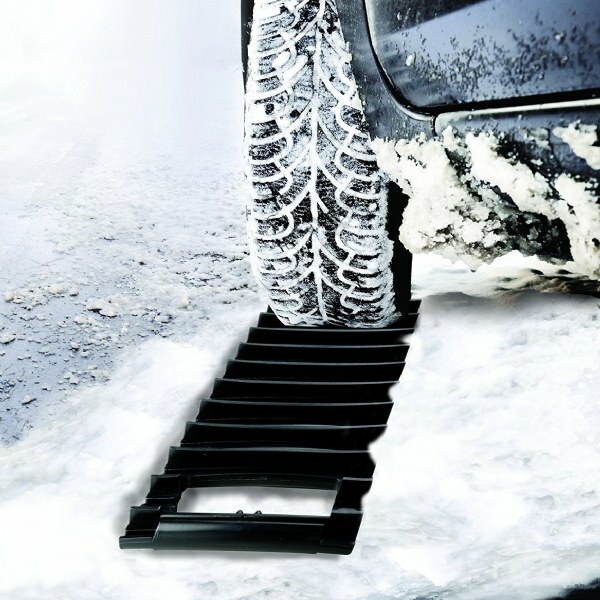 Never get stuck in the snow again with the Traction Pro by Meridian Point. Great for anyone who drives and lives in areas that get snow, this ingenious tool gives you instant traction virtually anywhere. Simply place the Traction Pro under your vehicle&apos;s tire when it&apos;s stuck to get instant traction. Eliminates the need to push your vehicle, call a tow truck, chip ice away, or wait until weather conditions changes. In addition, the Traction Pro doubles as an ice scraper to clear snow and ice from your windshield. Compact size conveniently stores in you vehicle.